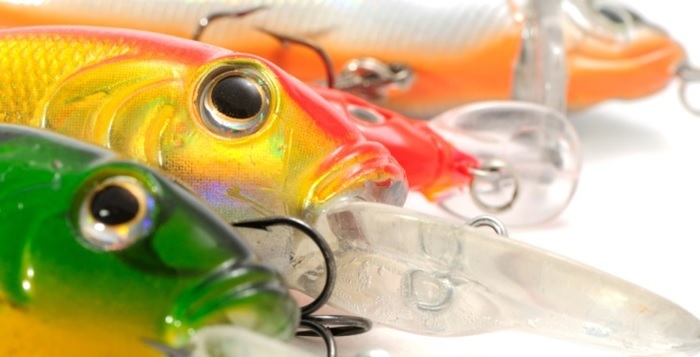 Depending on where you live, the definition of the term “crankbait” will vary drastically. For the purposes of this article, we will consider a crankbait to be any hard bodied lure that naturally produces action when retrieved. Crankbaits can come with or without lips, just so long as they have that recognizable swimming wiggle when you’re pulling them through the water. Crankbaits can be split into multiple sub-categories based on their use, action, and physical appearance. Unfortunately, as with many fishing issues, there is some debate over how many sub-categories actually exist, and what they should be called. 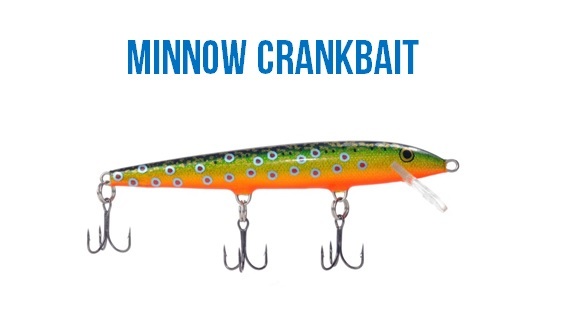 We’re going to take some liberty here and say that there are only three (3) true types of crankbaits and they are floating/diving, lipless, and minnow. These crankbaits are easily recognized by the presence of a diving lip, either carved into the body or attached to the nose of the lure. During a retrieve, this lip pushes sharply against the water causing the lure to dive downward and wiggle. Lipped crankbaits vary greatly in their buoyancy, meaning that they either naturally float or sink when they are at rest in the water. The highly buoyant (i.e. 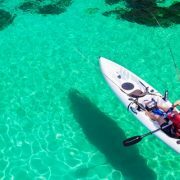 “floating”) versions have a desire to stay on the surface of the water and will resist the crankbait’s dive, causing it to run tail up/nose down during the retrieve. This body position shields the hooks from snags and causes it to make contact with underwater structures lip first. Additionally, the lure’s natural desire to float will allow it to back up and away from underwater obstacles when you relax the tension on your line. This makes it an ideal lure for fishing in and around heavy cover. The neutral buoyant versions (i.e. “suspending” or “sinking”) naturally sink to a specific depth and then dive down from there, resulting in a deeper dive. This makes it easier to keep the lure in deep water strike zones to generate bites. 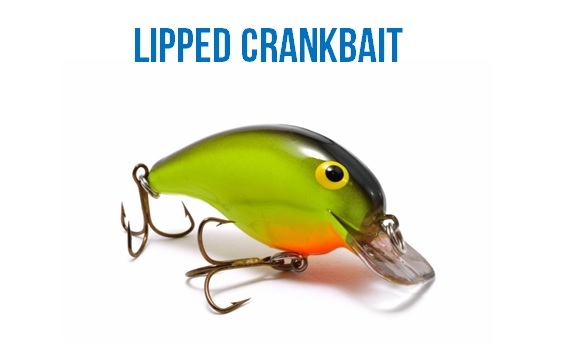 As the name implies, lipless crankbaits have no diving lip and rely on gravity to sink to their desired running depth. 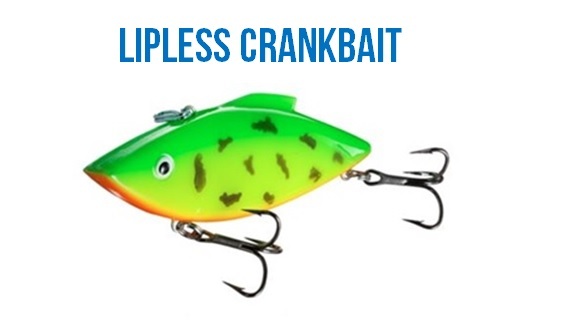 Lipless CrankbaitUnlike the lipped floating/diving crankbait which gets its swimming action primarily from the diving bill, lipless crankbaits rely on their slim, flat-sided body design and top-mounted line tie to produce the action. It should be noted, however, that the action produced by the lipless crankbait is a “vibrating” action and does not typically include the noticeable wobbling action produced by its lipped cousin. This vibrating action produces high-frequency sonic waves that are intended to replicate the waves emitted by a wounded baitfish. As a general rule, the faster the retrieve, the stronger the vibration. 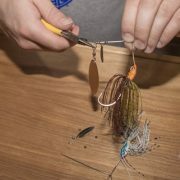 Because this lure doesn’t have the drag associated with a diving lip, it is possible to retrieve it at very fast speeds. As a side note, metal “blade baits” exhibit the same characteristics as lipless crankbaits and are thus included in this category. The minnow crankbait (“Minnow”) is extremely versatile bait and has a seemingly unlimited number of uses. They can be cranked, twitched, trolled, suspended, or fished top-water to produce strikes. Typically they have a long slender profile, tiny diving lip, and slow rolling swimming action. The diving lip is generally between 1/4 and 1/8 the size of the overall lure body and is not capable of running to deeper depths. Originally, the lip’s primary purpose was to produce additional swimming action in the lure and allow it to skim along just under the surface. 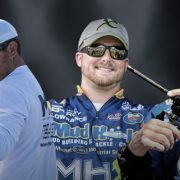 In recent years, many lure manufacturers have begun modifying the lip to run deeper and get the lure down into the strike zone of deep water predators. Many manufacturers also modify the body’s buoyancy to create floating, slow-rising, and suspending versions. The suspending minnows are “neutrally buoyant” and can rest at a specific depth, allowing them to sit in and around cover. The slow rising versions are weighted in a manner that slows their ascent toward the surface during retrieve pauses. Because of this lure’s long profile, it is very prone to hook snags and doesn’t typically have the same dominant tail up body position of other lipped crankbaits. In fact, many anglers add weight to the tail of the minnow to give it a nose-up body position similar to that of a wounded bait fish. 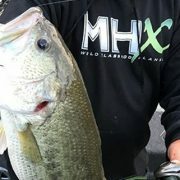 There are hundreds of thousands of different crankbait designs, many of which combine the positive traits of different sub-categories to create an entirely different type of crankbait. Some of the more popular variations are the ‘jointed’, ‘fat bodied’, and ‘count-down’ models. The jointed crankbait consists of two or more connected body segments that react with opposite movements during a retrieve, creating an exaggerate wiggle. 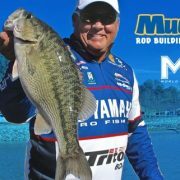 This gives the lure the appearance of a fast moving bait fish, even when the lure is not traveling at great speeds. Another benefit of the jointed models is the creation of sound during a retrieve. As a properly designed jointed lure swims through the water, its two body segments make contact and produce an audible “click” that helps fish identify its location. 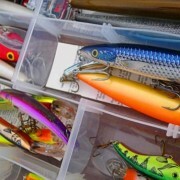 Many anglers also believe that a jointed crankbait produces better hookups than single-bodied versions. I haven’t seen any evidence to support this claim, but it’s worth pointing out. Count-down crankbaits are weighted lures designed to sink deep and catch fish that other crankbaits can’t reach. Good count-downs will come with a “sink rate” that tells the angler how fast the lure sinks under normal conditions (typically provided in feet per second). To fish it properly, an angler will begin counting seconds from the time the lure hits the water. When the appropriate number of seconds has passed, the angler will stop the descent and the lure will stop at the desired depth. Unfortunately, a count-down’s sink rate will not always match the manufacturer’s suggestion. Factors such as water clarity, currents, and line test will affect the sinking speed. Because of this, many anglers will spot test the bait prior to each use. To do this, they simply position their boat over a known depth and let the lure sink. They count how long it takes for the lure to reach the bottom and that tells them the sink rate.